Bridge tap detection at the touch of a button. 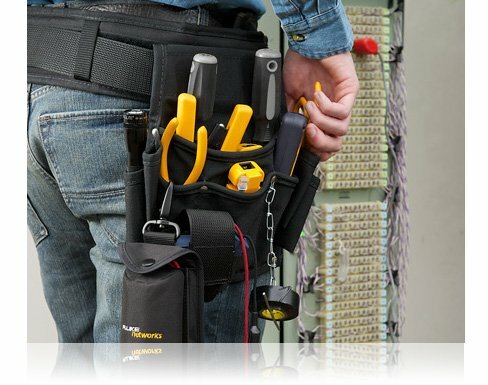 Invest in the right tool for all your technicians. 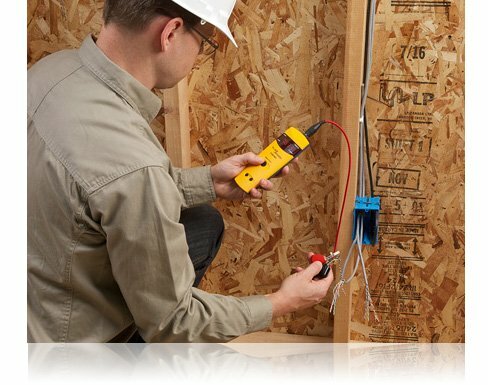 The new TS®100 PRO Cable Fault Finder with PowerBT™ Bridge Tap Detect not only provides open/short circuit detection—to 8,000 feet (2.4 kilometres)—but is also a telecom technician’s first line of defense against bridge taps. Because bridge taps are a significant source of DSL network performance problems, they need to be identified and fixed quickly before causing customer attrition. The TS100 PRO can accurately locate multiple bridge taps in seconds on up to 3,200 feet (975 metres) of cable with the touch of a button. 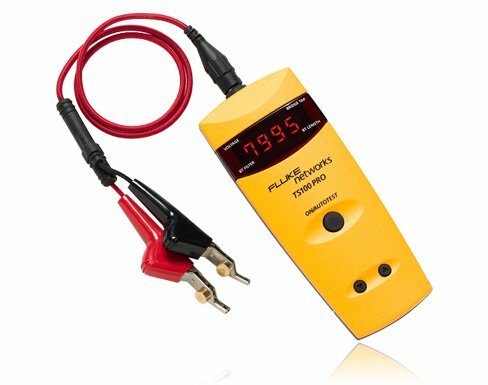 Used by telecommunications, triple-play/voice, data, and video professionals, the TS®100 PRO also gives users a built-in toner with five different tones and patented SmartTone®for exact pair identification and reports AC/DC voltage from just one end of any two conductor wires, telephone wires, security wires or coax cables. 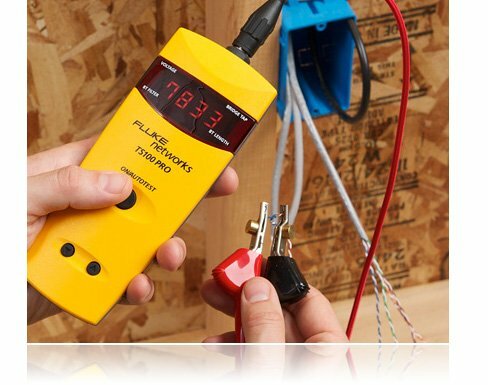 This five-in-one cable short circuit tester is so affordable every technician can have one. 8,000 feet (2,438 meters) on certain cable types, 4,000 feet (1,220 meters) on most cable types, and 500 feet (152 meters) on cables with high loss. The tester shows -Err if the cable is too long to be correctly measured. Minimum Length No minimum length (can read a bridge tap at 0 feet/meters). Minimum non-zero reading is 2 feet or 1 meter. 10% of the distance to the bridge tap. Dependant on the cable characteristics. 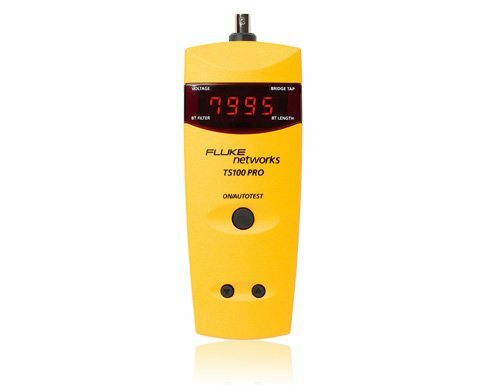 Measurement Rate Maximum of 4 complete measurements per second, decreasing to 2 seconds per measurement based on cable size and uniformity. VOP Adjustable from 20 to 99, saved in ﬂash memory. 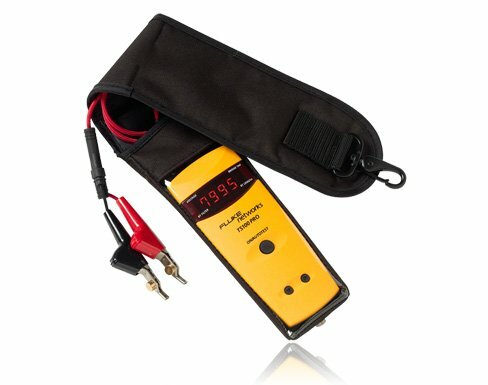 Test Technology Time Domain Reﬂectometry (TDR) with 100 Ω drive impedance, 6v maximum pulse height. Cable Type Virtually all two or more conductor cables. Power 4 AA alkaline batteries. Reverse Battery Protection No damage to the tester will occur if the batteries are installed backwards. LED display alternates between LO and bAtt when the battery voltage falls below 4.5v. 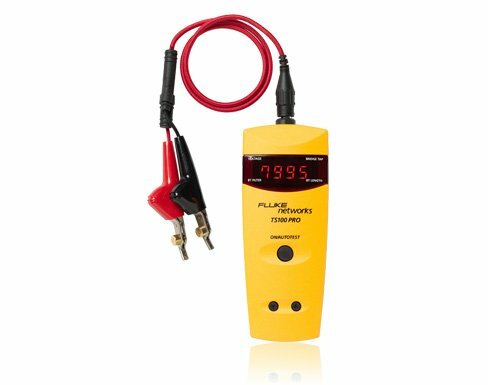 AC voltage detected to 115 volts; DC voltage detected to ±150 volts. Approximately 1 kHz at an amplitude of 80% of battery voltage. Variable frequency and cadence. Tone characteristics change as cable condition changes to “normal-open” from any other condition. 35 Ω to 330 Ω with auto-compensation within this range. Cables with impedances outside this range will not be properly tested and may produce erratic or incorrect readings. Notes: Patents 6160405, 6285195, 6323654, and 6509740. Speciﬁcations subject to change without notice. 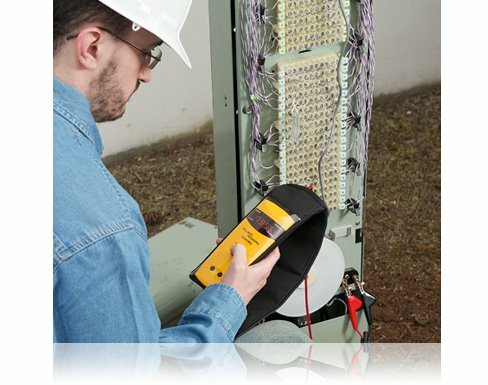 This 11x17 poster outlines essential testing in a hybrid (copper and fiber) network.